Playa Del Sur in McCormick Ranch is a subdivision of 98 homes built primarily between 1980-1988, with scattered infill construction as recently as 2007. A Hancock Homes development (previously known as Camelot Homes), Playa Del Sur is located just East of Hayden Road off of San Lorenzo. The homes along the North side of San Lorenzo are the older models built in the early 1980s, while the newer construction can be found with greater prevalence in the Northern reaches of the neighborhood – notably in the cul-de-sacs that abut the McCormick Ranch greenbelt and bike path (Camelback Walk). 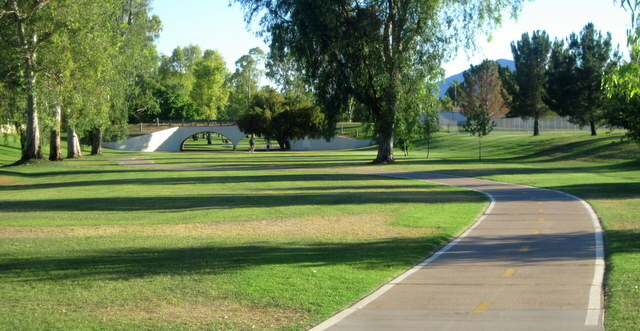 With access to the aforementioned Camelback Walk greenbelt system, residents of Playa Del Sur are located virtually equidistant to Cochise Elementary School / Mountain View Park (to the immediate East) and Lake Angela (to the immediate West after crossing under Hayden Rd). The homes of Playa Del Sur average approximately 2689 square feet, 93 of which are single-levels and the remaining 5 are two-stories. 85 of the homes (87%) feature private pools. The original homes of the neighborhood were built with block construction, while the newer properties are primarily frame-wood. The subdivision is zoned R-10 for 10,000 square foot lot minimums. While most lots range between 11,000-14,000 square feet, they reach nearly 30,000 square feet at the largest (just under 3/4th acre). Playa Del Sur falls within the Cochise Elementary / Cocopah Middle / Chaparral High School boundaries of the Scottsdale Unified School District. In addition to access to the parks and lakes, Playa Del Sur is within walking distance of The Melting Pot, Zipps, Butters, and the other McCormick Ranch restaurants / shops North of Via De Ventura. Thinking about buying or selling a home in McCormick Ranch? Ray & Paul Slaybaugh have overly 50 combined years of experience specializing in McCormick Ranch Real Estate. Contact us today.